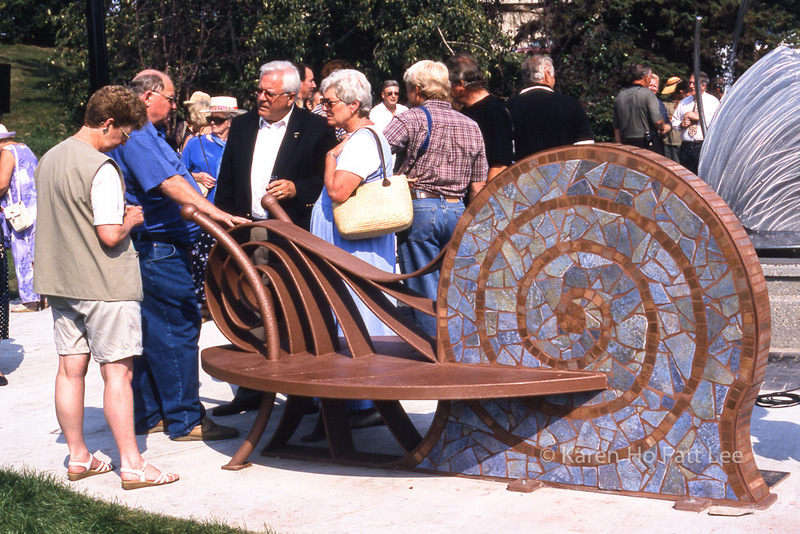 Sculptural bench for public gardens. 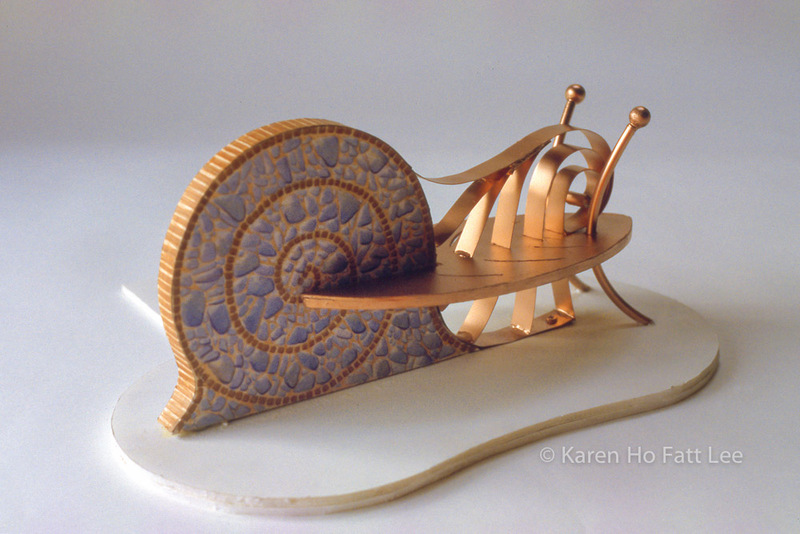 Design is inspired by a common garden snail resting on a leaf. Seating for 4 adults 2 per side. 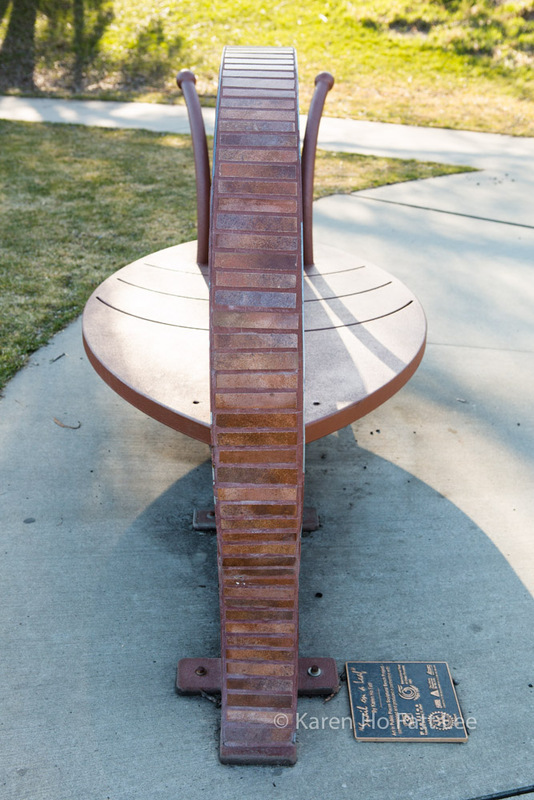 Materials: Concrete, steel, polyurethane paint. Location: Located in the City of St Albert Celebration Park, St Albert, Alberta, Canada.